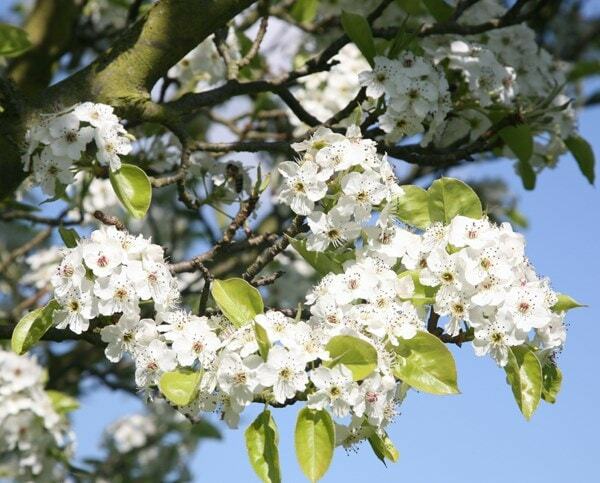 This narrowly conical ornamental pear is smothered in sprays of pure white flowers in April and May, followed by spherical brown fruit. The glossy, dark green leaves turn marvellous shades of purple and scarlet in autumn and are retained until winter. 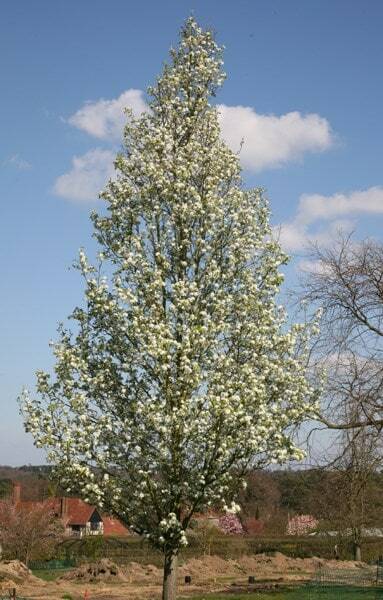 An excellent specimen tree for small urban gardens, it tolerates pollution and alkaline soils. Garden care: In late winter or early spring remove misplaced or crossing branches to build up a healthy, permanent framework. Hi, can this be grown in a pot? 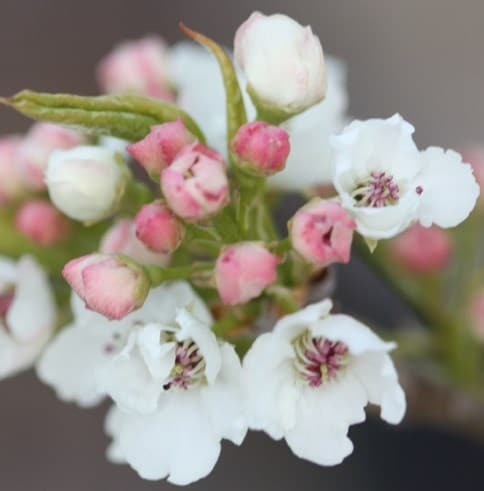 Hello, This tree will eventually get quite large, so while it can be grown in a large pot for a couple of years (provided it is kept well fed and watered), ultimately it will be happier in the ground. Hi there, Does the height quoted next to the pot size relate to the height of the stem? From the top of the soil to the base of the crown for example? Hello, This is an indication of the height of the entire plant.